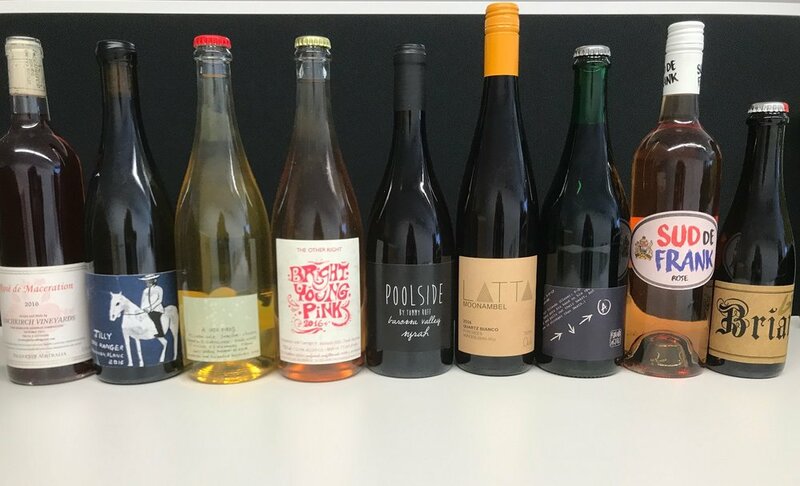 It’s almost too late for a spring release, but here we are with are spring wines. 2017 was a cold and wet season, which delayed everything by quite a while. Not the favourite setup for most, but we’ve found the results being quite spectacular - could be the best year we’ve had so far! Naturally, the winemaking process was a bit more laborious, but paid off with wine being brighter, crunchier, full of flavour and really low on alcohol across the board. Despite the challenging season for the growers, they’ve done a wonderful job, sticking to what we both believe in, be it the countless mowing passes to control the weeds or large-scale fruit thinning to maintain quality and avoid disease, they didn’t give up, and for that we are incredibly thankful. Alright, to the business: we’ve got 3 pet nats that are all fizzy and more than ready for human consumption. Also, there are 2 new additions: an orange Viognier called Moments of Strange Magic and a light-ish Shiraz called Love Potion. And there is a blast from the past - Away with the Pixies Pinot! All of the wines are made from grapes grown following organic viticulture principles (none are certified at this stage). All wines were made exclusively from grapes, with no additives of any kind used. Thank you so much for your support and for being a part of this journey.